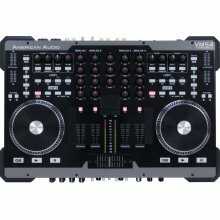 The vms4 (velocity midi station) is a 4-channel midilog controller that fuses both midi (midi software) and analog audio control (cd players, turntables etc.) into one unit. the vms4 is an open source controller that can be used with any midi software.